Analysis by PwC and natural resource tracking company GeoTraceability indicates that ‘boom-bust’ cycles of cocoa prices remain a major threat to small farmers in West Africa in particular. But the confectionery industry is responding with new investment to make cocoa production more efficient and sustainable in the long run. 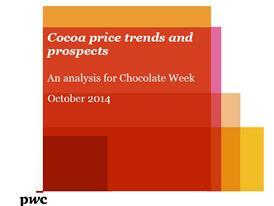 With the price of cocoa in September up by around 30% on the average for 2013, the analysis warns that uncertainty around the bean crop could make the market more prone to instability. There are also fears of an ‘ebola effect’ if the virus spreads to Ivory Coast and Ghana, which produce around 60% of the world’s cocoa. "Cocoa prices are highly volatile: they often spike upwards significantly due to supply disruptions from weather, disease and politics in the tropical countries where production is concentrated. But history suggests that, as supply rebounds in later years, they tend to revert to relatively subdued real levels determined by the low cost of labour in key producer countries in West Africa and Indonesia. “Cocoa prices could strengthen over the next few years as continued growth in demand for chocolate and other cocoa products from the US, Latin America, Europe and Asia again causes supply constraints in key producers like Ivory Coast and Ghana. “But if these higher prices encourage more investment in new cocoa orchards, there could then be another bust in cocoa prices in the 2020s, just as there was in the 1980s following the 1970s cocoa price boom. The challenge for both policy-makers and confectionery companies will be to smooth out these boom-bust cycles, which can do great damage to the small farmers that account for around 90% of global cocoa bean production." Around 90% of world cocoa is produced on small family farms, with an estimated 20 million smallholders and rural workers depending directly on cocoa for their livelihood according to the 2012 Cocoa Barometer report. Mapping and data collection from these farms is helping them to improve yields, by understanding what can be done to improve their outputs. “With around 90% of cocoa produced on family farms, the age of and space around a cocoa tree, fertilisers used, and changes in agricultural practices all impact cocoa production and supply. “Thanks to colossal investments in sustainability and support programmes aiming to boost production, the cocoa industry is increasing its efforts to avoid a future shortage of beans. Investments like farmer training and sustainability premia were marginal in West Africa just three years ago, but are now becoming more common. GeoTraceability, acquired by PwC in April 2014, has facilitated the collection of data on cocoa crops from 83,000 farmers and 114,000 hectares of cocoa producing land across Ghana, Nigeria, Ecuador, Peru and Indonesia to date. There is increasing demand and interest in the data from development agencies, commercial partners, bean traders and first stage processors to provide more accurate understanding of current and future potential growing trends. GeoTraceability, acquired by PwC in April 2014, specialises in tracking and data collection technology for natural resources including cocoa, coffee, cotton, nuts and minerals globally. GeoTraceability uses data gathering and monitoring technology such as GPS mapping, Geographic Information System (GIS) technology and mobile phone and bar coding systems to track products from origin to shop floor. This supports businesses with increasing demands to make the origin of products transparent and allay concerns about natural resource security and environmental impacts. www.geotraceability.com​. 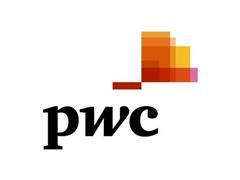 ©2014 PricewaterhouseCoopers. All rights reserved.